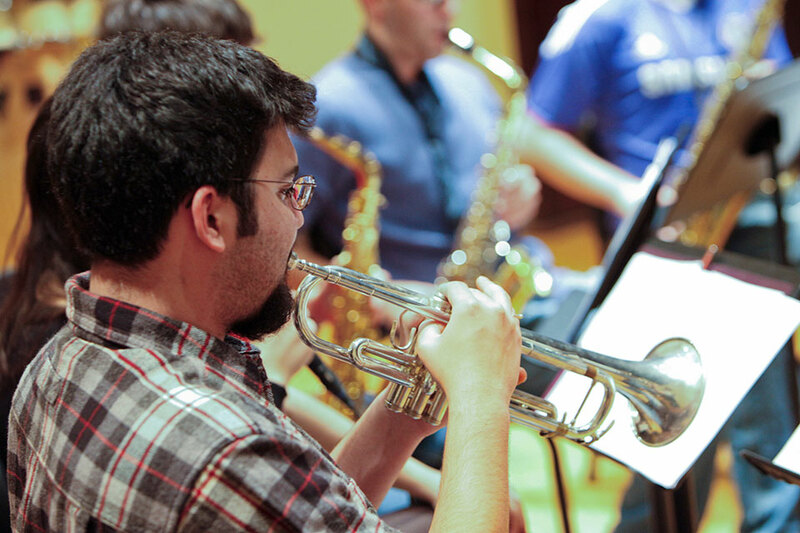 The Brandeis Jazz Ensemble, open to the entire Brandeis community by audition, is comprised of 15-20 musicians led by one of Boston's best-known jazz men, Professor of the Practice Robert Nieske. In addition to the classic jazz repertory, the ensemble performs original compositions written specifically for the group. Students are encouraged to compose for the ensemble and receive guidance from the director. Interested vocalists, saxophone, brass (including horn, euphonium or tuba), guitar, piano, bass or drum players will be asked to play scales and arpeggios, sight read and play a prepared piece at the audition. Improvising experience is not required, but reading skills are. Rehearsals are held on Wednesdays from 7 to 10 p.m. in the Slosberg Music Center. Drums: play various tempo swing and latin grooves and sightread a drum part.